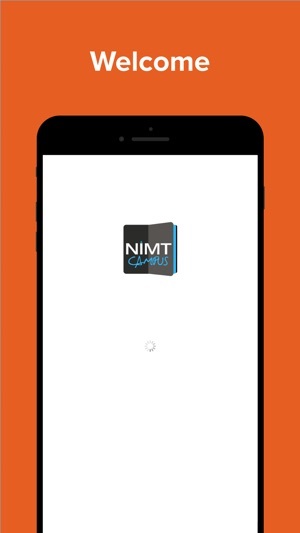 NIMT app is a simple and intuitive application focused on enhancing the communication between teachers and parents. The school management, teachers, parents, and students get on a single platform to bring transparency in the entire system related to a child’s activity. The aim is to not only enrich the learning experience of the students but also enrich the lives of parents and teachers. Messages: School Administrators, Teachers, Parents, and Students can now effectively communicate with the new messages feature. Feeling connected is important right? Broadcasts: School administrators and teachers can send broadcast messages to a closed group about a class activity, assignment, parents meet, etc. Events: All the events such as Exams, Parents-Teachers meet, Holidays and Fee due dates will be listed in the institution calendar. You will be reminded promptly of important events. Our handy holiday list will help you plan your days in advance. Student Timetable: Now you can see your kid’s timetable on the go. This weekly timetable will help you organise your kid’s schedule effectively. You can see the current timetable and upcoming class in the dashboard itself. Handy isn't it? Attendance Report: You will be notified instantly when you kid is marked absent for a day or class. Attendance report for the academic year is available readily with all the details. Fees: No more long queues. Now you can pay your school fees instantly on your mobile. All the upcoming fee dues will be listed in the events and you will be reminded with push notifications when the due date is getting closer. Teacher Timetable: No more shuffling your notebook to find your next class. This app will show your upcoming class on the dashboard. This weekly timetable will help you plan your day effectively. Apply Leave: No need to find a desktop to apply for leave or no application forms to fill. Now you can apply for leaves from your mobile. You can track your leave application until acted by your manager. Leaves Report: Access the list of all your leaves for an academic year. Know your available leave credits, No of leaves taken for different leave types. Mark Attendance: You can mark attendance right from the classroom with your mobile. It is easier than ever to mark the absentees and access the attendance report for a class. 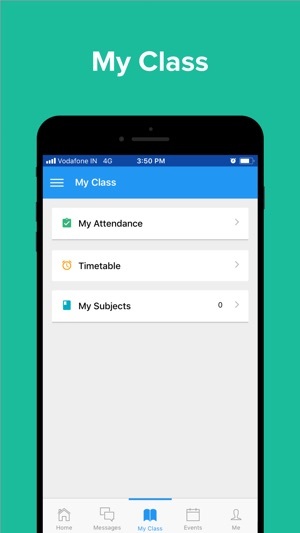 My Class: If you are a batch tutor, now you can mark attendance for your class, access student’s profiles, class timetable, list of subjects and teachers. This will make your day lighter we believe. 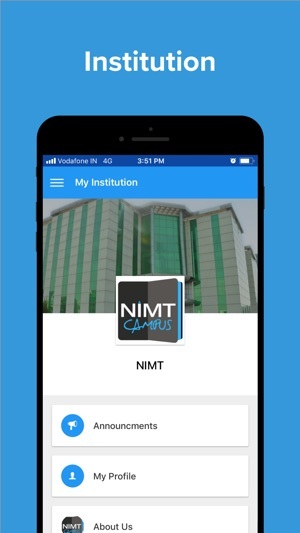 Please Note: If you have multiple students studying in our school and the school records have the same mobile number for all your students, you can swap the student’s profile in the app by tapping on the student name from the left slider menu and then swap the student profile.